Lily Be is a Chicago native, born and raised in Humboldt Park. A momma, a nanny, and storyteller. 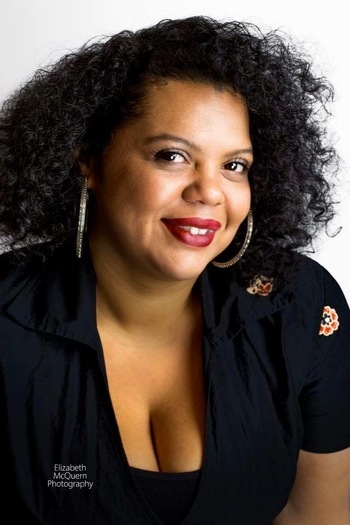 Lily Be is the creator and cohost of the bimonthly storytelling series, The Stoop, which takes place second and last Thursday of every month at Rosa's Lounge. Lily exists to help people own their narrative and inspire them to be their truest self. Please join Lily and our other amazing readers on Tuesday, September 5, 2017 in the upstairs bar at Hopleaf. Doors open at 7pm, and the show starts at 7:30. It's free, and 21-and-over. RSVP on Facebook. Evan W. Stoner is the author of this bio and the novel Birthday Suits, a book that asks the question: if you inherit a disease from your parents, can you hold them legally responsible? While not a courtroom drama, the book explores the emotional fallout of this scenario as it affects the various members of one family. By day, Evan is a legal writer working to ensure foreign scientists are granted green cards, and by night he's working on his next book about a wrench-wielding vigilante. He finished his M.A. at the University of Chicago, and is obsessed with Ryan Adams, all things bass guitar, and his cat Miss Cleo. His previous work has appeared in Underground Voices and Colloquium, and you may follow him online @evanwstoner. 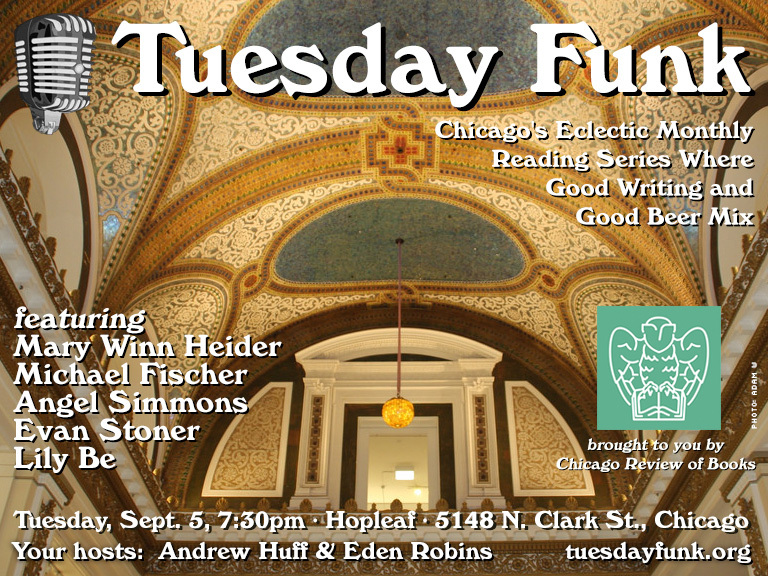 Please join Evan and our other amazing readers on Tuesday, September 5, 2017 in the upstairs bar at Hopleaf. Doors open at 7pm, and the show starts at 7:30. It's free, and 21-and-over. RSVP on Facebook. 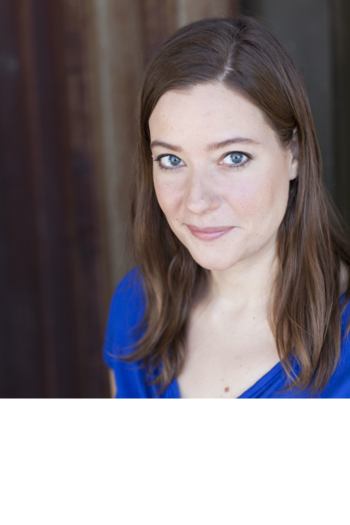 Mary Winn Heider writes for kids, but has also worked as a public radio reporter, a high school teacher, and a bartender on a train in Alaska. She teaches writing to kids in Chicago Public Schools with the theater company Barrel of Monkeys, and studied writing herself at the Vermont College of Fine Arts. Her debut middle grade novel, The Mortification of Fovea Munson, comes out Summer 2018. Please join Mary Winn and our other amazing readers on Tuesday, September 5, 2017 in the upstairs bar at Hopleaf. Doors open at 7pm, and the show starts at 7:30. It's free, and 21-and-over. RSVP on Facebook. 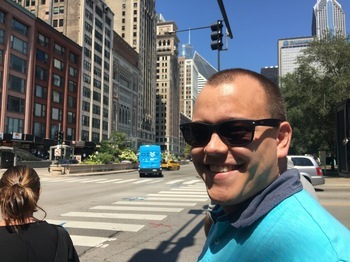 Cohost Andrew Huff's patented topical haiku reflected the weird summer Chicago's been experiencing and his recent trip to New York. 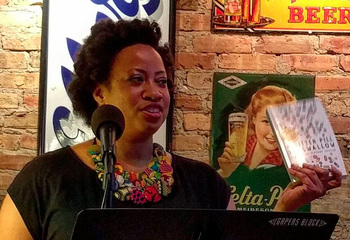 Get back in the swing of things post-Labor Day with your favorite eclectic reading series! Tuesday Funk is back Sept. 5! 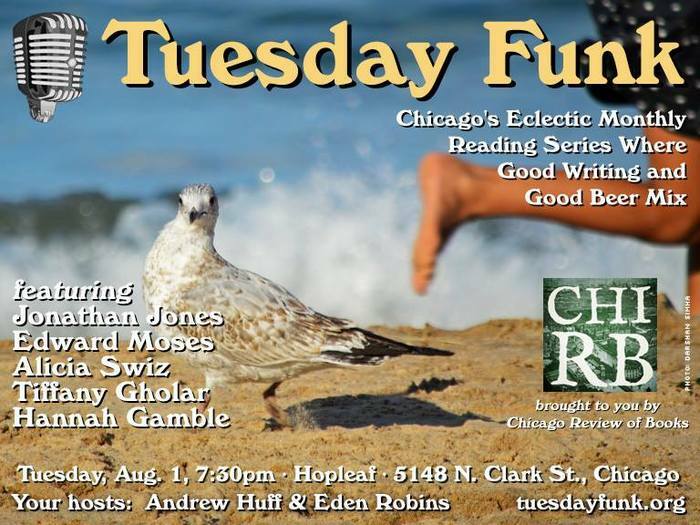 Join us in the upstairs lounge of Hopleaf in Andersonville as we welcome Mary Winn Heider, Michael Fischer, Angel Simmons, Evan Stoner and Lily Be. As always, doors open at 7 pm (no earlier, but arrive as close to 7 as possible or risk not getting a table) and the show starts at 7:30 pm. Admission is free, but you must be 21 or older. Please RSVP on Facebook -- and while you're there, like our page so you get our announcements right in your stream.